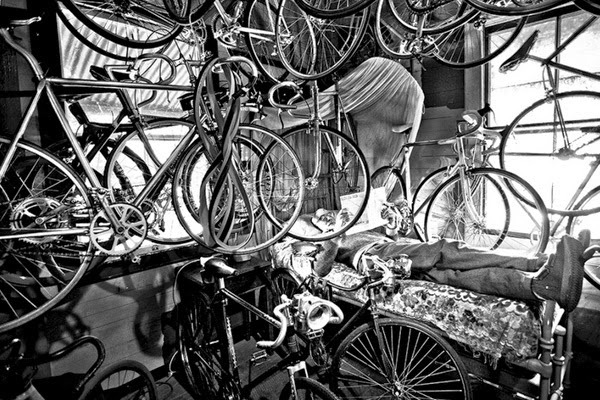 Australian photographer and film maker Dean Saffron created this piece after meeting 'James', an avid collector, restorer and historian of bicycles. The collection would include at least one bicycle from each developmental epoch, so that future generations would be able to see and enjoy their history, innovations and place in the world. There is a full gallery of images on Dean's website. Post-script from Dean - "sadly my friend James "The Spokesman" has passed away from lung cancer"